During our discussion of taboos (started a couple posts ago), I was reminded of how excellent the science fiction of Paul Linebarger--better known within our genre as Cordwainer Smith--is, and how bizarre and mysterious I found it to be when I first read some of the stories as a kid when I would encounter them in anthologies. 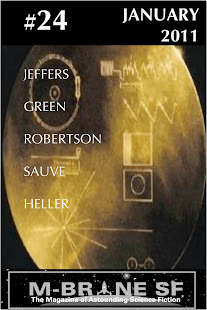 Most of his sf stories are set in the universe of the "Instrumentality of Mankind," and form a sort of future history of an era many millennia in the future where the Instrumentality is guiding and manipulating the course of interstellar civilization. I remember being a quite young kid and reading stories like "Scanners Live in Vain," "The Burning of the Brain," and "The Crime and Glory of Commander Suzdal" and being like "what the frak did I just read? What is this?" I am pretty sure that it's that sort of reaction that helps make a kid into a lifelong reader. 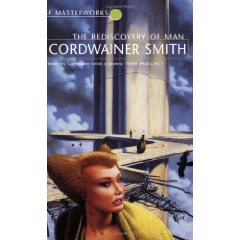 I found this site, www.cordwainer-smith.com, maintained by Smith's daughter Rosana. Housed within it is her blog. I haven't read through much of it yet, but a recent post points to some Smith stories that are now free for online reading. So if you've somehow missed out on Cordwainer Smith or don't have of his stuff on your bookshelves, there's a chance to check it out. That image up there is the cover of a collection that compiles all of the Instrumentality stories in one book.